Chicago Chapter 7 Lawyer | Johnson & Johnson, Ltd. Experienced Chicago chapter 7 lawyer. Financial problems can create a lot of anxiety in your life and can actually cause you to become vulnerable to emotional and physical illness. One of the best ways to resolve excessive debt is with the help of a Chicago chapter 7 lawyer to file for bankruptcy. Once thought of only as a last resort, today bankruptcy is a viable solution that is an acceptable option for many people. A Chicago chapter 7 lawyer will help you and your family begin to get off the money roller coaster and put the pieces of your life back together. 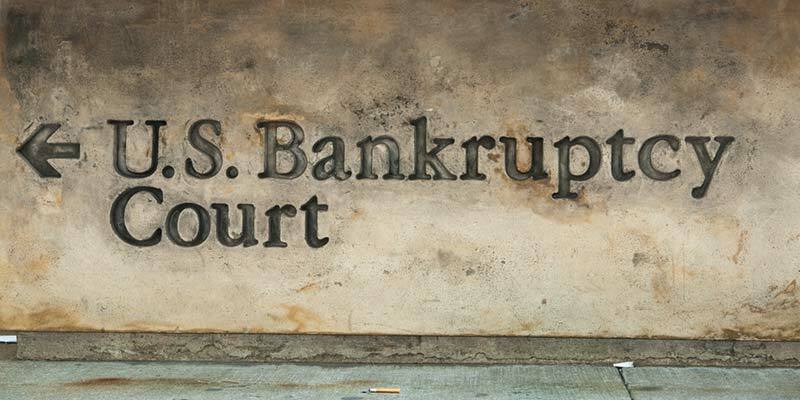 There are two main forms of bankruptcy for individuals – chapter 7 bankruptcy and chapter 13 bankruptcy. Both offer a way to resolve your money situation and start over. However, because of the restrictions of chapter 13 bankruptcy, many people choose chapter 7 bankruptcy. If you are in financial straits and are considering bankruptcy, contact a Chicago chapter 7 lawyer. The experienced Chicago chapter 7 lawyers at Johnson & Johnson, Ltd. are here to answer your questions and assist you through the process to rid you of your debt once and for all. Your Chicago chapter 7 lawyer will explain that Chapter 7 bankruptcy is specifically designed for those who are deep in arrears with no feasible solution for repayment. In many cases, those who file for chapter 7 bankruptcy are unemployed or otherwise unable to make regular payments. Chapter 7 bankruptcy allows you to liquidate your assets in order to make payment on your debts. This gives you a fresh start and a new chance to begin to achieve improved credit ratings. Because you may possibly need to sell many of your possessions, a Chicago chapter 7 lawyer will help you make the best choice if you want to keep your possessions. Sometimes, for example, the assets are greater than the liabilities and you may even be able to keep some of your items, such as your vehicle. A Chicago chapter 7 lawyer will help you assess your financial situation to see if chapter 7 bankruptcy is a practical choice. Bankruptcy affords many people a way to get out of debt and begin to rebuild their credit options. You will often find immediate relief to your financial stress as soon as you file for bankruptcy. Filing for bankruptcy stops creditors from any further collection phone calls or correspondence. All communication will be directed to your Chicago chapter 7 lawyer. You will also find that you will quickly be eligible to rebuild your credit. Creditors will see that you have made steps to resolve your money problems and new credit card offers may soon come your way. Keep in mind that rebuilding your credit is a process that will take months or years to achieve. But remember that it took you a long time to get this far into debt in the first place. A Chicago chapter 7 lawyer will meet with you to explain the benefits as well as the drawbacks to filing for chapter 7 bankruptcy. Chapter 7 bankruptcy differs from other types of bankruptcy in that you must pay back as many of your obligations as possible. This is achieved by selling many of your possessions. Generally, the deeper in debt you are, the more possessions you will need to sell to make repayment. In many cases, however, you will be able to keep some of your assets. For example, if you have a vehicle that is fully paid off you may be able to keep it, thus providing you a way to get to and from work. Your Chicago chapter 7 lawyer will help you think of as many ways as possible to take care of some of your repayment. Once you make repayment you will be able to rebuild your credit again. A reputable Chicago chapter 7 lawyer knows how to help guide you through the bankruptcy process. Chapter 7 bankruptcy is one of the two options available for individuals. After speak to your Chicago chapter 7 lawyer, Chapter 7 bankruptcy may not be your first choice for bankruptcy. If you are able to get on a repayment plan through debt consolidation, you may qualify for chapter 13 bankruptcy. However, for those who are not working or who are not making much money, chapter 7 bankruptcy is the best alternative. It gives everyone a chance to get a second chance at financial freedom. When considering your situation, it is best to talk it over with an experienced Chicago chapter 7 lawyer. Bankruptcy is a solution to a terrible situation that causes worry and concern in your life. For many people, bankruptcy is the way to quickly resolve your current financial situation and upright your boat so you can move forward in life. When you owe a lot of money, you and your family are likely suffering because of it. When your circumstances seem unbearable, it is best to speak with an experienced Chicago chapter 7 lawyer. Your Chicago chapter 7 lawyer can straighten out your financial problems quickly by filing legal documents. Legal filing is not difficult, but does come with significant potential impact. Therefore, you must take care to understand your options so you can make a choice that will provide you with the greatest benefits. A qualified Chicago chapter 7 lawyer walks you through the procedure and takes care of everything necessary to get the filing completed. The skilled Chicago chapter 7 lawyers at Johnson & Johnson, Ltd. know that you are going through a difficult time and always take care to get the best results for our clients. With more than 35 years of experience, our Chicago chapter 7 lawyers understand bankruptcy and understand how to get you the resolution you deserve. Contact our attorneys at Johnson & Johnson, Ltd. today to speak with a Chicago chapter 7 lawyer.